Want great results every time? This is brown bread at its best. Tasty, soft and light enough to seem professional but with enough texture to be decidedly home made, I bake this loaf several times a week. I bake one for my neighbour at the same time, too, and I have it on (her) good authority that it's better than even the poshest supermarket bread. It's good with just butter, great for scrummy sandwiches, makes mouthwatering buttered toast and works with cheese or jam: anything goes. So, with that enormously overdone introduction out of the way, let's get to the actual recipe. It's 30% wholemeal flour, which I find gives it a silky texture whilst not becoming too dry and heavy. If you are tempted to increase the quantity of wholemeal flour, don't forget to adjust the amount of water too for the correct dough hydration. 1. Put all the ingredients in a large bowl and squidge them together with one hand. There may be a moment when it doesn't seem as though it's all going to go together but it will. 2. Tip the dough out onto a clean surface. There's no need to put any flour down, this dough is lovely and clean and very easy to work with. Knead the dough for ten minutes. Ok, if you haven't got ten minutes, one or two will do but try and stretch the dough as much as you can. Ideally, it should have a smooth, elastic consistency when you've finished. 3. Leave the dough to ferment for 45 minutes under the upturned mixing bowl. If you can't leave it that long, just leave it as long as you can. Equally, if you can't get back to it after 45 minutes, just revisit it when you are able to. It's quite forgiving. I once left mine for several hours and it was fine. 4. Give the dough a brief knead to degas it. Form the dough into a loaf shape and place it in a 2lb loaf tin. Leave it to prove in the tin for 45 minutes, or until it reaches the top of the tin. 5. Bake at 180oC/360F for 30 minutes or until nicely browned. A cooked loaf sounds hollow when you tap on its bottom. Allow the loaf to cool on a wire rack for about 20 minutes before cutting into it. Stored in an airtight container, it will keep for several days in a cool place. 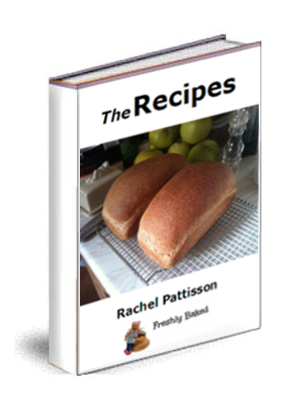 You can find my easiest bread recipes here. 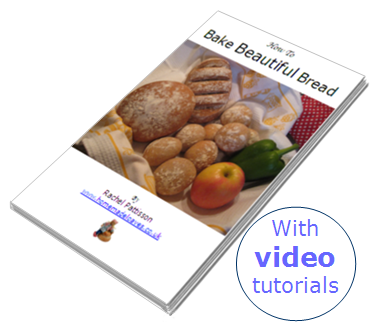 There are more detailed instructions, photographs and videos about breadmaking to improve your technique here. I've written more about the science behind bread making to help you gain confidence and understand the keys to success here. 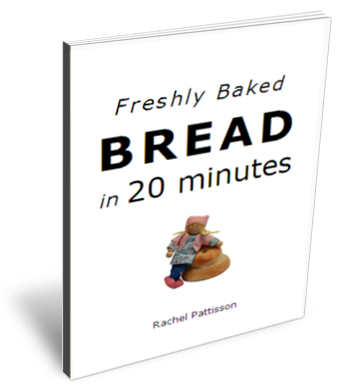 Don't forget, you can be eating Fresh Bread In 20 Minutes when you sign up to recieve your FREE guide. Great! I'm delighted to hear that it was a success. My favourite thing about homemade bread is that I don't have to have been to the shops. Even if there's nothing for tea, I usually have flour in the cupboard, so I make pizza. And if it's really close to lunchtime and I'm totally disorganised: doughballs! In the recipe you say to add water. Does the water need to be warm or is cold water OK? Cold will do fine but if you make it hand-hot that might speed the yeast up a bit. Toasted sultana loaf is one of my favourites! Three loaves in three days!!! My wife is calling it the "magic loaf" because as soon as we make it, it disappears. It's so easy to make. I'm currently recuperating from open heart surgery and the physiotherapist recommended making bread as a good way of exercising (and keeping busy) after the operation. I had never made bread until this week and now I'm making it every day. I can't believe more people don't make their own bread. It really isn't as scary as you think - these recipes make it really easy so thanks Rachel. Mark that is wonderful! Your comments really made my day! And I wish you a speedy recovery from your operation too! There isn't any salt in this recipe as there is in "The Formula for Great Dough." Is that on purpose? 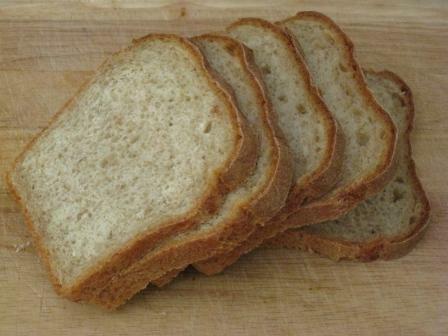 My experience with homemade sandwich bread in the past that doesn't have salt is that it is pretty.... astringent? Not sure of the best word for it. It works with or without salt. Try adding 5g as per The Formula. Or a little more if you like the flavour to be more salty. I'm Rachel, mum of three and prone to spontaneous bursts of baking. My mum taught me how to fit bread-baking into a busy schedule. Here, I make it simple for you too. 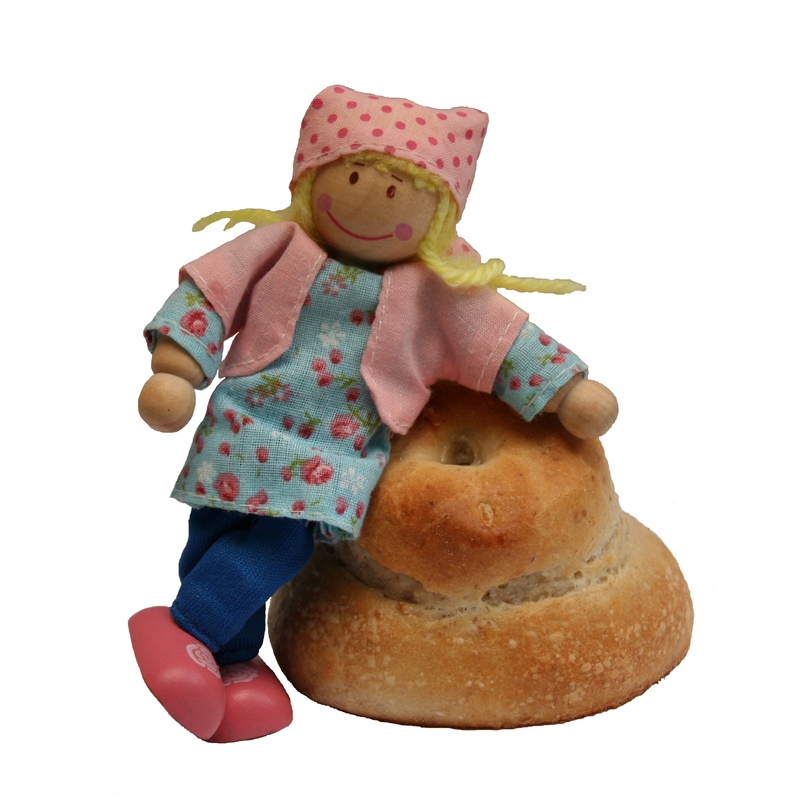 Why Use Sugar In Bread Dough? Oil In Bread Dough - Yes or No? Head over to the Freshly Baked Flickr Group to share your bread photos.